Stoneware and Glaze, 24 x 9 x 8 inches, 2017. Stoneware and Glaze, 15 x 10 x 6 inches, 2017. Stoneware and Glaze, 10 x 5 x 5 inches, 2017. Stoneware and Glaze, 15 x 10 x 5 inches, 2017. Stoneware and Glaze, 9 x 14 inches, 2017. Stoneware and Glaze, 24 x 12 x 12 inches, 2017. Stoneware and Glaze, 12 x 7 x 7 inches, 2017. Stoneware and Glaze, 9 x 7 x 6 inches, 2017. Stoneware and Glaze, 7 x 5 x 5 inches, 2017. Stoneware and Glaze, 10 x 12 x 13 inches, 2017. Stoneware and Glaze, 12 1/2 x 5 x 5 inches, 2017. Stoneware and Glaze, 7 x 3 x 3 inches, 2017. Stoneware and Glaze, 11 1/2 x 9 x 9 inches, 2017. Stoneware and Glaze, 6 x 4 1/2 x 4 1/2 inches, 2017. Stoneware and Glaze, 15 x 9 x 9 inches, 2017. Stoneware and Glaze, 20 x 11 x 11 inches, 2017. Stoneware and Glaze, 19 x 13 x 13 inches, 2017. 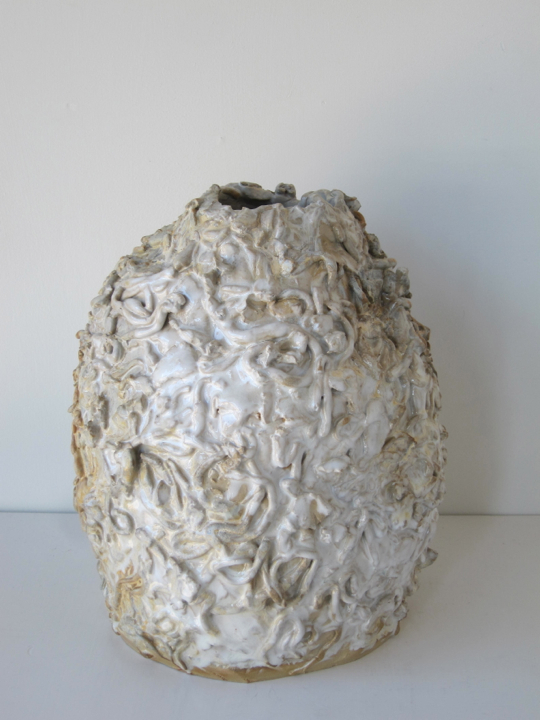 Stoneware and Glaze, 8 x 3 x 5 inches, 2014. 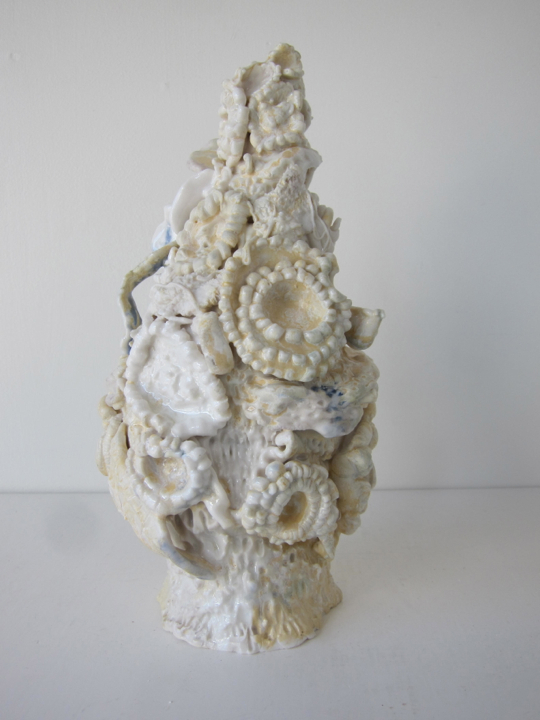 Stoneware and Glaze, 4 x 2 1/2, 4 x 2 inches, 2014. 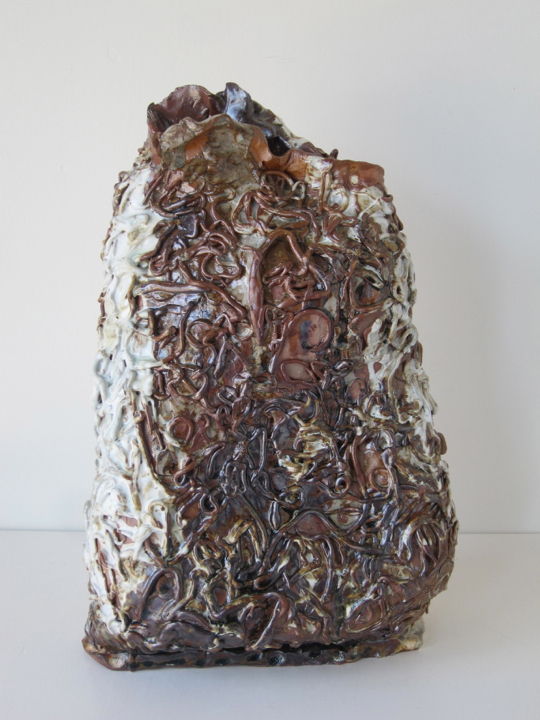 Stoneware and Glaze, 4 x 4 x 4 inches, 2014. Stoneware and Glaze, 5 x 3 x 2 1/2 inches, 2014. Stoneware and Glaze, 2 x 4 x 3 inches, 2014. Stoneware and Glaze, 6 x 3 x 3 inches, 2017. Stoneware and Glaze, 3 x 5 x 3.5 inches, 2014. 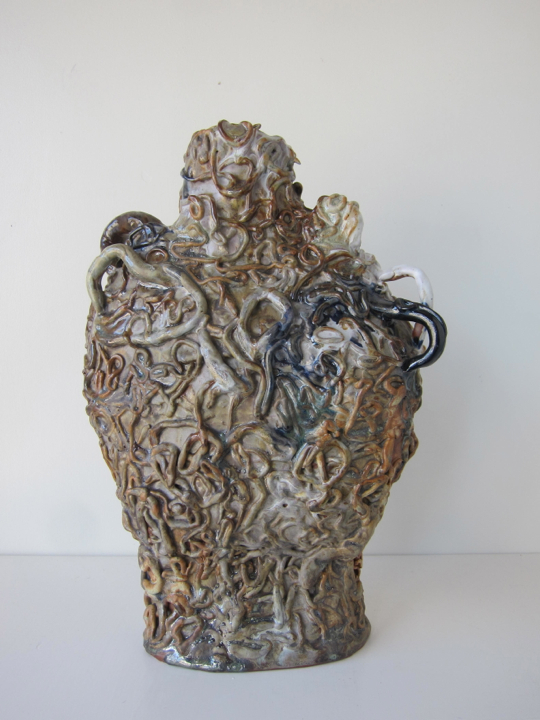 Stoneware and Glaze, 6 1/2 x 5 x 2 inches, 2014.